On this day exactly one year ago, you were elected Leader of the Australian Labor Party, after the historic first ballot in which ordinary party members were allowed to cast a vote. During the public campaign which preceded this ballot, one of the issues which you raised was the lack of representation of some groups within society inside the ALP caucus, and the Commonwealth Parliament more broadly. It is encouraging that a then candidate, and now leader, of a major Australian political party so openly acknowledges the failure of our nation’s Parliament to even come close to approximating the demography of its population. It is shameful there have only ever been four recognised Indigenous members of the Commonwealth Parliament – and that the first Indigenous ALP MP, and first-ever female Indigenous MP, Senator Nova Peris, entered Parliament only last year, after more than 112 years of ALP caucuses. It is almost as shameful that there have only ever been six openly identified members of the LGBTI community elected to Commonwealth Parliament, and none in the House of Representatives. Of those six, only two have been from the Australian Labor Party – Senator the Hon Penny Wong and Senator Louise Pratt – and the latter was essentially ‘replaced’ in Parliament earlier this year, at the WA half-Senate election, by Senator Joe Bullock, a person who strongly opposes LGBTI equality. It is clear from this historic under-representation that there have been countless talented and capable Aboriginal and Torres Strait Islander, and LGBTI, individuals who have not had the opportunity to serve in the nation’s Parliament – and that our Parliament has unarguably been poorer for their absence. It is also clear that this under-representation continues today. One of the options for resolving this ongoing under-representation is, as you identified last year, the introduction of ‘quotas’ for Indigenous and LGBTI candidates (by which I assume you mean the implementation of new rules within the ALP setting minimum targets for Indigenous and LGBTI candidates in ‘winnable seats’). The benefit of such an approach has been amply demonstrated by the success of targets for female candidates within the ALP over the past 20 years. When the 35% target (now 40%) was first adopted in 1994, the proportion of female MPs within the major parties was roughly the same: 14.5% within the ALP, 13.9% within the Liberal Party. Two decades later, and the difference between the two major parties is stark: 42.4% of current ALP Commonwealth MPs are women, while only 21.6% of Liberal MPs are women (and, of course, there is only one woman inside the Abbott Liberal-National Cabinet, significantly lower than during the previous two terms of Labor Government). While there have been other contributing factors, including the work of EMILY’s List, it is undeniable that the affirmative action rules first adopted in 1994 have played a major part in helping to ensure the ALP caucus is now more representative of the Australian population, and that talented and capable female candidates have a fairer chance at being elected to the nation’s parliament. It is also no coincidence that, of the three ‘social groups’ mentioned in this letter – women, Indigenous people and LGBTI people – the only one where the ALP has adopted minimum targets is also the only one where the ALP has a significantly better track record than the Liberal Party. All of which suggests that, despite some of the criticism which your original proposal received, ‘quotas’ – or some form of affirmative action rules – are at least worthy of further consideration as one possible policy tool to overcome Indigenous and LGBTI under-representation. 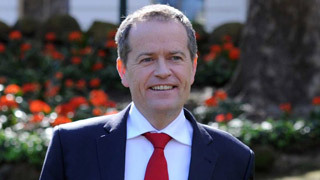 Other approaches to improve LGBTI representation specifically, include actively stamping out any institutionalised homophobia, biphobia, transphobia and intersexphobia that may exist within the Australian Labor Party, including in affiliated organisations that participate in and strongly influence the direction of the Party. And, if you are serious, and indeed if the ALP is serious, about ensuring that the issue of ongoing LGBTI under-representation in Commonwealth Parliament is finally addressed, then I believe the ALP should also ‘reach out’ to the LGBTI community by ensuring that LGBTI equality is a core, and non-negotiable, plank in the national ALP policy platform. That means recognising that LGBTI Australians are full and equal citizens in every single way, including in the recognition of our relationships, and not allowing ‘conscience votes’ where individual MPs are allowed to vote against this equality simply on the basis of personal prejudice(s). Each of these three approaches – affirmative action rules, stamping out any internal homophobia, and adopting a platform supporting full equality, with no exceptions – would increase the engagement and involvement of LGBTI people inside the ALP and ultimately ensure more LGBTI members of parliament. Ideally, from my perspective, all three would be adopted. 12 months since you were elected Leader of the Australian Labor Party, and more than a year since you identified the under-representation of LGBTI people in parliament as an issue to be addressed, what approach(es) do you support? With the pre-selection of some ALP candidates for the 2016 federal election already underway, what steps have you taken to ensure that these processes encourage more LGBTI people to nominate as potential candidates? And, finally, what (if any) possible rules changes are you developing with respect to this issue, to be put forward for consideration at the next ALP National Conference in Melbourne in July 2015? I look forward to receiving your answers to these questions, and your response to this important issue more broadly, in the near future. 12 months after being elected, what is Bill Shorten doing on LGBTI under-representation in Parliament?